CLEMSON, S.C. - Due to forecasted inclement weather, the scheduled game between Charleston Southern and Clemson on Tuesday at 6 p.m., at Doug Kingsmore Stadium was canceled. 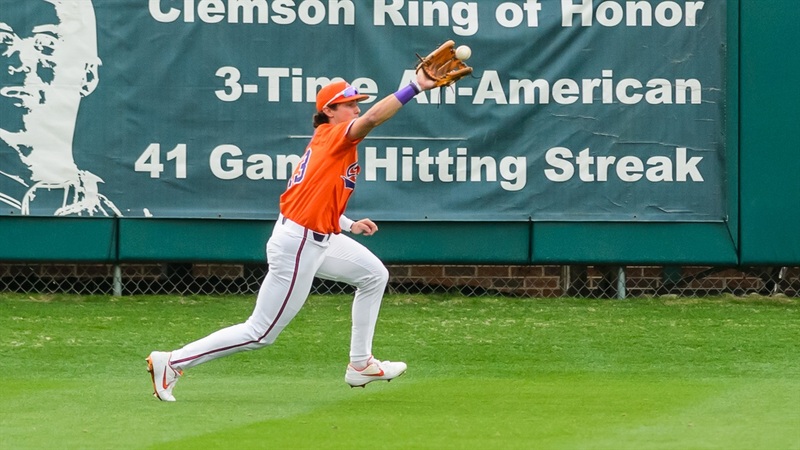 The Tigers are now scheduled to play Presbyterian College at Doug Kingsmore Stadium on Tuesday, May 7 at 6 p.m. on ACC Network Extra. Tickets for the originally-scheduled game against Charleston Southern on Tuesday are valid for the game against Presbyterian College on May 7. Fans who purchased single-game tickets for Tuesday’s game against Charleston Southern can receive a refund by calling 1-800-CLEMSON.